The One Club for Creativity, a leading global non-profit organisation celebrating creative excellence in advertising and design, and Diageo North America have announced a significant partnership to recognise and promote diversity, inclusion and gender equality among young creatives around the world. The partnership ties in with The One Club’s Young Guns programme, which for more than 20 years has served as the industry’s only international, cross-disciplinary, portfolio-based awards competition that identifies today’s vanguard of globally and culturally diverse creative professionals 30 years of age and under. 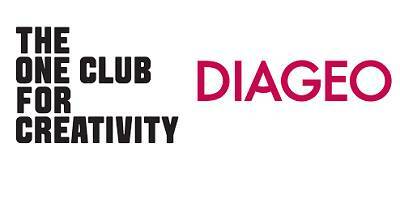 The first component of the partnership is the Diageo -Young Guns Diversity & Inclusion Award, kicking off this fall. Teams at Diageo North America and The One Club will review portfolios of all Young Guns 16 global finalists and select a winner of the new award. Diageo achieved gender parity on its board with an intent to have its senior leadership team 35 per cent female by 2020. Half of the members of the Diageo North America executive team are women, led by Deirdre Mahlan, President, Diageo North America. Industry recognition includes Diageo being listed on the Bloomberg Gender Equality Index, ranked fourth in the Thomson Reuters Global Diversity and Inclusion Index and a signatory of Free the Bid.